The Spanish press are up in arms, Barcelona can be forgiven for wondering what might be, while at Borussia Dortmund, those clad in Black and Yellow are rubbing their hands with glee. Paco Alcacer’s incredible scoring run shows no signs of abating, and everyone is taking notice. Alcacer – who swapped Camp Nou for the Signal Iduna Park in the summer – scored twice as Spain beat Wales 4-1 in the UEFA Nations League on Thursday, and added another in the 3-2 defeat against England on Monday, bringing his goal tally to 10 goals over the last six games in all competitions. Not bad for a guy returning to international football for the first time in two years. Despite arriving at Barcelona under Enrique, Alcacer struggled to bolt down regular place in his two years at the club, with “MSN” – Lionel Messi, Luis Suarez and Neymar – dominating game time for most of his Blaugrana spell. Enrique’s successor Ernesto Valverde continued to overlook Alacacer – a mistake, according to the Spanish press. "Alcacer continues his meteoric run”, was sports daily Marca’s headline last week. “Alcacer could prove to be a historic mistake for Barcelona and it’s inexplicable that he was loaned to Borussia Dortmund this season, when Luis Suarez should have more rest." El Mundo Deportivo agreed. “Pacogol forces his way through, Alcacer proving that scorers keep coming back. He has scored a spectacular number of goals ever since he escaped from Luis Suarez's shadow by moving to Dortmund, and finally found his peace in Germany, where they believed him,” wrote Barcelona’s sports daily. Watch: Paco Alcacer changed the game when he came on for Dortmund against Augsburg on Matchday 7! Barcelona are currently winless in their last four La Liga games, looking unusually toothless in attack. Alcacer is completely the opposite. The Dortmund loanee has scored seven goals in just 171 minutes of football for BVB. 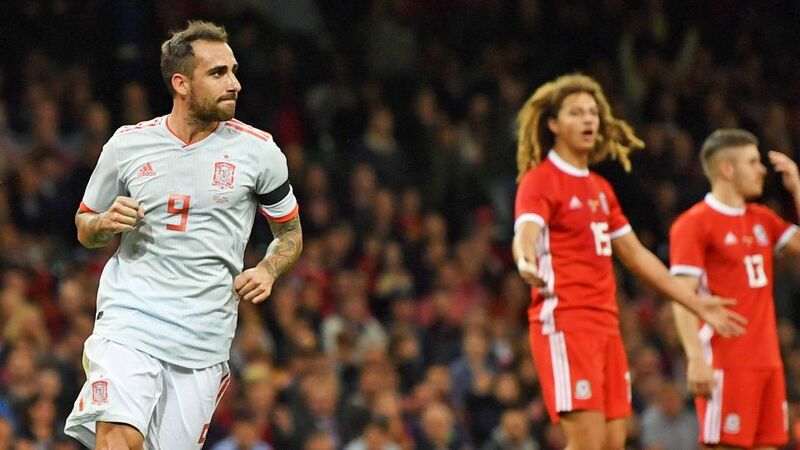 Restored to the Spain squad alongside former BVB favourite Marc Bartra, Alcacer struck the first two goals against Gareth Bale’s well-fancied Wales. And after scoring with a glancing header just two minutes after taking to the field against England, his Rioja tally now stands at nine in 15 games. Alcacer, who comes from Valencia and is playing outside of his motherland for the first time, appears to have found happiness under Lucien Favre in the Ruhr valley. “It’s a little bit of everything: luck, self-confidence, the trust of the coach, games and above all putting work in every day,” explained the 25-year-old goal-getter.